As the summer winds down and the cooler season approaches, there may be less outdoor water activity, but the fall and winter can be a great time to get kids in the pool to learn important water safety skills and stay active. Learning how to swim is the first defense against drowning. Teaching children how to swim at an early age is very important. Research shows that children who are not taught when they are young tend to avoid swimming lessons as they age, often due to embarrassment. According to the Drowning Prevention Research Centre Canada, there is an average of 464 preventable, unintentional water-related fatalities occurring in Canada each year. 45 per cent of those who drown are weak or non-swimmers. Formal swimming lessons are proven to reduce the risk of drowning by up to 88 per cent. 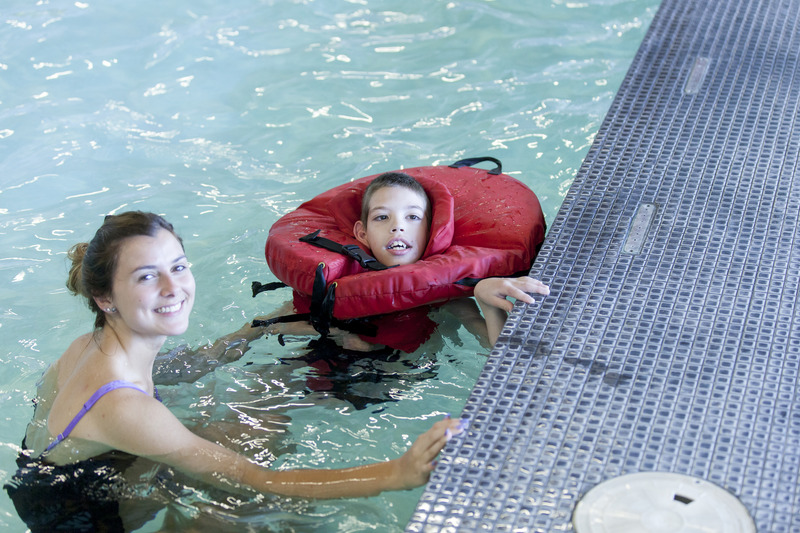 Swimming instruction is a crucial step to protecting children from drowning. In Simcoe, Muskoka and Parry Sound, we enjoy a wide variety of aquatic activities during the summer months thanks to the many lakes, waterfronts, and recreational facilities surrounding us. Help keep your children safe by enrolling them in swimming lessons. This will teach them important water safety skills and allow them to enjoy and respect the water. Class placement –Children should be grouped with others in their age range and skill level, and there should be specific skills to master before advancing into each new level. Class size – No matter what the class size, the ratio of staff to students should be appropriate so that teachers can give each child individual instruction, in addition to the group activities. Instructor credentials – Make sure to ask what training the aquatic instructors have received and what certifications they hold before signing your child up for lessons. The YMCA for instance, requires that instructors have a current Lifesaving Society National Lifeguard certification as well as a YMCA Swim Instructor certification. The YMCA of Simcoe/Muskoka believes learning to swim is a critical life skill, which is why lessons are included with every membership. We teach more than just basic swim skills. With guidance from our expert instructors, your child will learn about water safety, build confidence, make new friends, and tackle new challenges. And, with the family in mind, parents can take this opportunity to work out in the gym or do a lane swim while their child takes a swim lesson. For more information about the YMCA swim programs and schedules, please visit http://www.ymcaofsimcoemuskoka.ca/swim-lessons. Rob Armstrong is President and CEO of the YMCA of Simcoe/Muskoka; focused on investing in communities, ensuring all people have access to the Y and implementing programs that are helping thousands of youth and families to learn and thrive. Prior to joining the YMCA of Simcoe/Muskoka in 2011, Rob held senior leadership positions at the YMCA of Edmonton, YMCA of Owen Sound, YMCA of Cambridge and most recently YMCA Ontario. Rob holds an Honours degree in Physical and Health Education from Queen’s University and has since augmented his education with advanced courses from the Harvard Business School of Entrepreneurship, Ivy School of Business and Queen’s University Executive Education Program.